When I started this book, I never thought to finish it, let alone review it. I was looking for a few paragraphs of background information I could use for a character in a novel I’m writing, and I figured To Conquer Hell would give them to me. But it gave me so much more that I kept reading, and what I read moved and angered me so much that I couldn’t let go. Let’s get one thing straight. 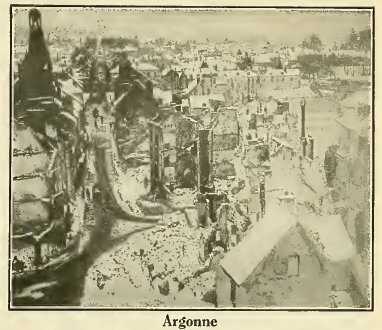 Few people other than historians–maybe even military historians–will be tempted to learn in agonizing depth about the Meuse-Argonne, which lasted the final six weeks of the First World War and was the bloodiest campaign American soldiers have ever fought. In a sense, Lengel’s thoroughness tests the reader, for he covers every single engagement (there were dozens), often down to platoon level, always from eyewitness sources. His research is more than voluminous; it’s heroic. But just as Georges Clemenceau, premier of France at the time, observed that war was too serious a matter to leave to the generals, what Lengel has to say about war, citizen-soldiers, and the responsibilities of government are too important to leave to military historians. By setting these facts and arguments down, Lengel has done a true service. Reading his narrative, you see how the failure to prepare for a war nobody wanted made it even more horrible than it needed to be. In telling this story, it’s not just that he breathes life into names well known (John J. Pershing, George Patton, Douglas MacArthur) and obscure, or that the words of ordinary soldiers drive the narrative. Nor is it only that you see, feel, and smell the battlefields, sense the tension and terror in the participants, and empathize with their heartbreak. Most importantly, I think, Lengel conveys how poorly they were led at every level, including the highest, with an appalling indifference to their sufferings that amounted to criminal negligence. Citizens of a democratic nation expect better, and the United States failed. Start at the top. President Woodrow Wilson had no inkling of how to conduct a war, nor any desire to discuss strategy, political goals, or general objectives with his chief field commander, Pershing, whom he left completely in the dark. The only imperative was rushing as many soldiers as possible to France as quickly as possible, which meant they arrived with little or no training or equipment. I shuddered to read of the poor young soldier, about to go into battle for the first time, who didn’t know how to fire his rifle; or another, who, when the command came to fix bayonets, kept staring at his, as if it must be broken. Speaking of bayonets, Pershing believed that it was the ultimate weapon, and that neither artillery nor machine guns mattered. Firepower didn’t win battles, he thought; spirit and will to victory did. That was what the French and British had believed in 1914 and had spent three costly, bloody years unlearning. But Pershing was convinced he knew better, and that the Western Front hadn’t seen what American bravery could do. As a consequence, he stubbornly and repeatedly ordered frontal assaults against heavily entrenched positions, to be taken regardless of losses. The results were predictable–units mauled, not to say murdered, sometimes cut down to half strength, demoralized, isolated from one another and from supply lines. Yet the attacks continued, as men went into battle having gone without food or water for days, lacking ammunition or other essential material–and when they failed to take their objectives, headquarters blamed their lack of drive. Commanders who told the truth were replaced. But few even bothered; more typical were the likes of Patton and MacArthur, who cared only for their own glory. Patton, whom Lengel calls “insane,” claimed to have killed a soldier who refused to attack by hitting him over the head with a shovel. MacArthur’s vanity vastly overshadowed his grasp of military tactics; he twice promised his superior that either he’d capture an assigned objective, or his entire command would die trying. I’m not arguing (nor does Lengel try to suggest) that the country should have prepared for war much earlier, thereby avoiding these problems. After all, Wilson won reelection in November 1916 on an antiwar platform, and it took repeated German blunders to persuade him and the nation to intervene in a conflict widely considered a European imperial blood feud. Rather, Lengel argues that once the United States entered the war, vain, incompetent leadership doomed the American common soldier, and that their sacrifice–125,000 casualties in six weeks–was unnecessary. While reading To Conquer Hell, I kept thinking of those thousands of men who’d either enlisted in good faith or been coerced, whether through the draft or by vigilante pressure against “slackers” or “cowards,” only to be treated as cannon fodder. The home front never did learn the truth.